This year, we started a weekly sewing group at my school which is strictly Adults Only. As soon as the kids are piled onto the bus and sent on their merry way, we clear the tables of art-making shrapnel (because, let's face it, it always looks like a craft store exploded in my art room), bust out the ironing board and sewing machines, mix ourselves a coupla drinks (coffee, that is) and set to work. Most of the lovely ladies that attend have little sewing experience which makes me their (completely inadequate) leader. Frightening thought, no? Now what I love about this group is that they are fearless. When we first began, we all tackled the same project: A Reversible Waist Apron. Once that (first time for many) project was finished, these sewing rockstars were ready to tackle anything! 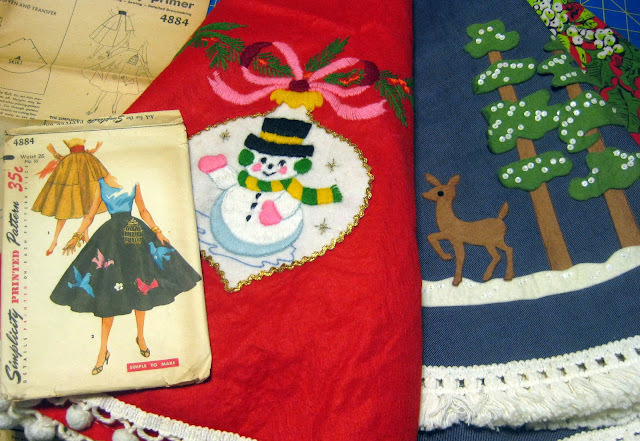 So far they've created such sewing wonders as more aprons, a stocking, baby clothes, grown people clothes, etc. You name it, they're gonna make it. 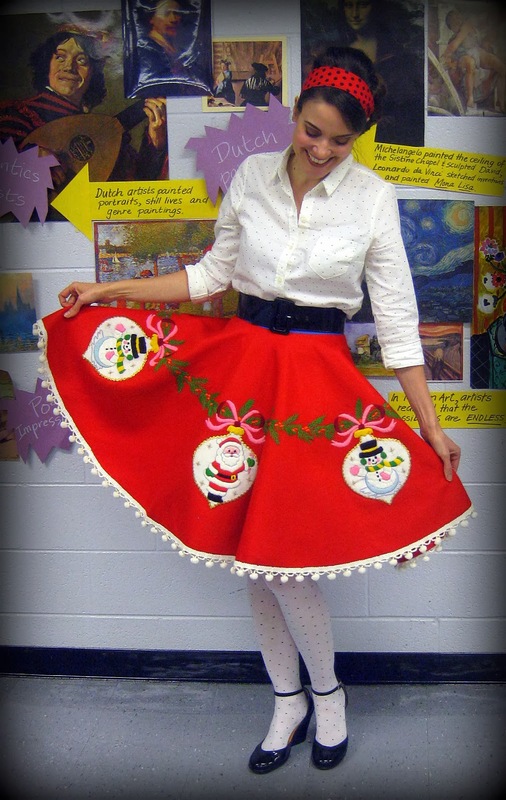 So when one of them shared a pinterest pic of a tree skirt gone lady skirt, there was a collective "Eeeee! Let's make one!" The vintage pattern I used was Simplicity...and it might have been a little too simplistic for my taste. You see that wee gap at the back of the waistband? Totally not addressed in the pattern. 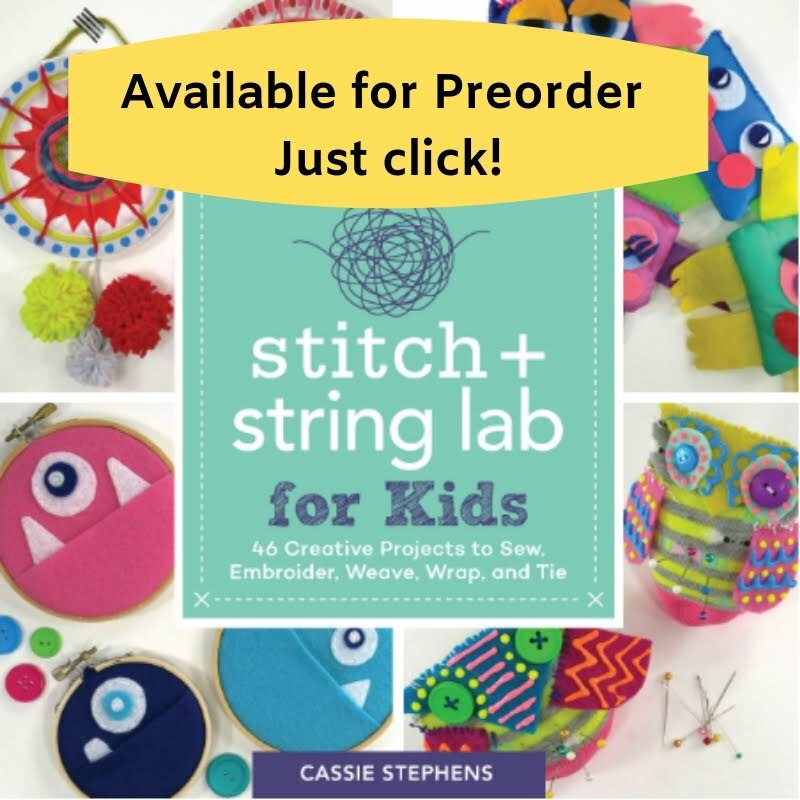 No add a button, stitch in a hook and eye, staple together, none of that! I'm thinking of adding a hook and eye...but for now the prob was solved with a black belt-addage. Since I'd be helping these ladies along (and because I was SUPER excited about this idea), I decided to get a jump start on my tree skirt makin' and trouble shoot the making of such. First step: Finding the Perfect Tree Skirt. I knew I wanted it cheap and vintage (exactly how I like my wine) and a quick trip down etsy/ebay lane lead to the click-to-buy purchases of this little lovely and that denim number a coupla photos down. 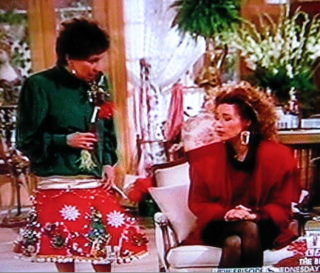 Mary Jo: Bernice, why are you wearing your Christmas tree skirt? Bernice: Well, this is the skirt you gave me for Christmas. Mary Jo: Yes, I know. It's not to wear. It's a Christmas tree skirt. You're supposed to put it around the base of your Christmas tree. Bernice: Oh! Well, no wonder. I like to never got this thing on. I finally just let the waist out and tied it with a belt. And that's TOTALLY what I did! But before we get into all that, lemme just tell you that this skirt is huge. Add a crinoline underneath and it's huge-er. So much so that one 2nd grader inquired, "What's under that thing that makes it so poofy!?" At one point my wide-poofy-ness totally swallowed one kindergartener and knocked down two others. AND at bus duty, the whole skirt decided to blow STRAIGHT UP in the air. Thankfully, nobody saw that happen...or so I thought until a dad walked up behind me and said, "Be careful of that wind!" 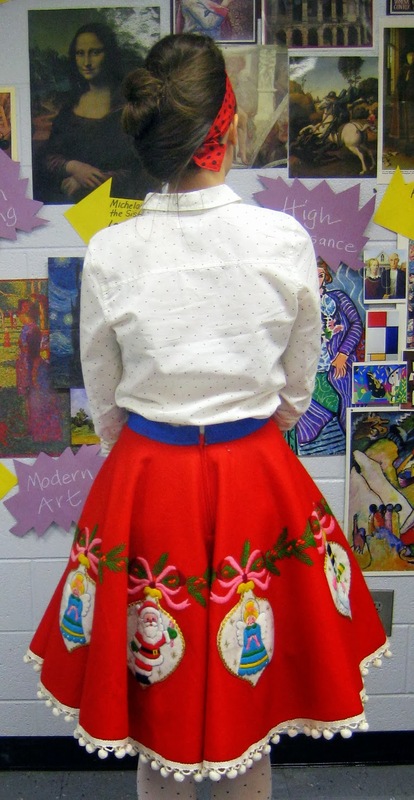 So, just how does one go about turning a tree skirt into a big a$$ poofy lady skirt in 60 minutes? Well, get yo'self a tree skirt. There are some cute ones at Kohl's, Marshall's, TJMaxx, yo mama's house, you name it. If you shop online, make sure that you check the diameter of the skirt. I chose ones that were between 45-50". STILL can't find one? Dang, you are picky. Use a cute round tablecloth! Then, if you can get your kitten mittens on a circle skirt pattern, that might make your life easier, but it's not necessary. 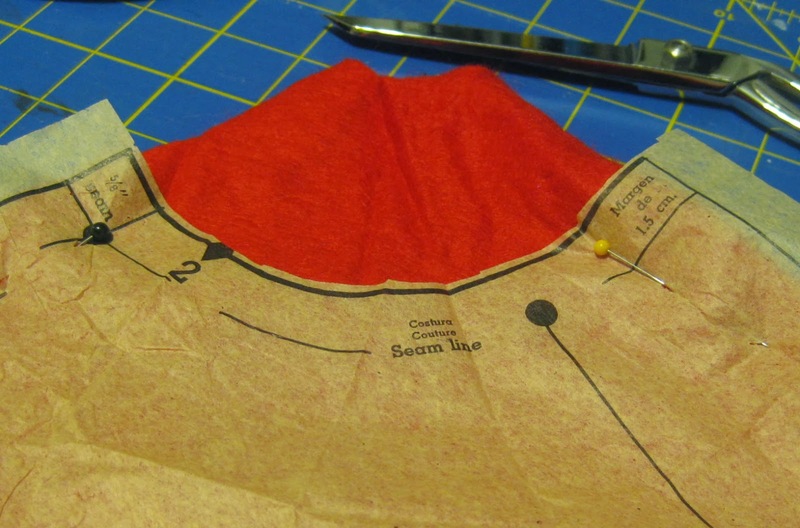 Measure your waist (always a pleasure) and create a paper circle that has the same diameter. 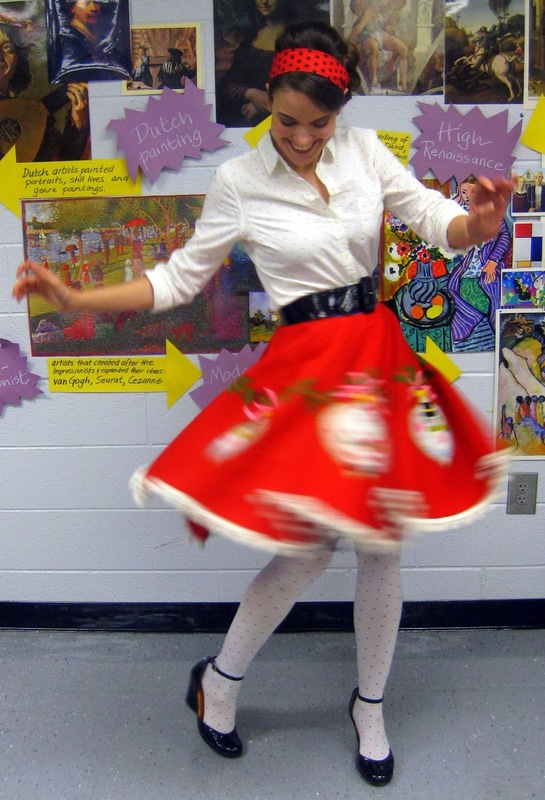 With that, simply open your skirt (or tablecloth), center the circle and cut it out. From the circle, decide where you want the back to be (or side if you want to have a side zip) and cut down 9". Then, try on the skirt and make sure your hips can fit comfortably through the opening. If so, let's move on! If not, cut a little more until they do. Circle skirt pattern friends, you got it made. Add the pattern to your skirt and cut. Here I am cutting the waist of the skirt to size. You can see the original tree skirt opening above my pattern. Now my skirt was not open at all, as some tree skirts are, it simply had a hole in the center. So I proceeded to cut all the way from the opening to the bottom of the skirt. Which was super stupid. I shoulda just cut that length of the zipper. Sometimes my brain is off. Since I had cut to the bottom, I followed the directions above. I trust you can read 'em cuz I'm too lazy to type. Been a long bossing-children-around kind of day. 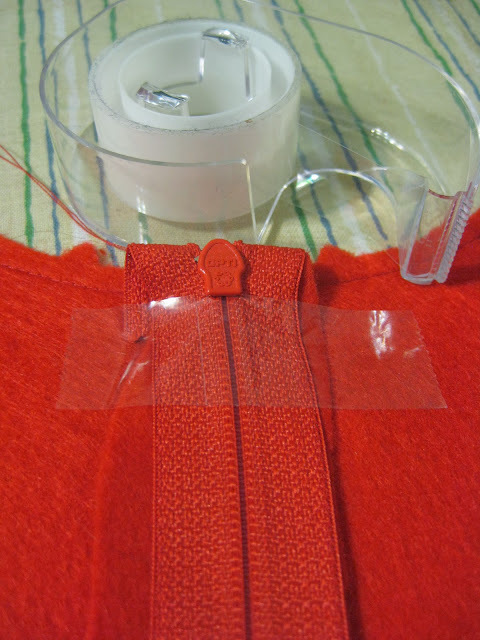 When it comes to adding zippers, I ALWAYS use this Scotch Tape trick. You can read the details here (again, too lame to move fingers around the keyboard for you). Once that little detail was complete, I created and attached the waistband. To create the waistband patternless, you'll need to cut a piece of fabric (I used denim because it was thicker and stronger than cotton and could handle the weight of my skirt. Because she's a heavy b%tch). The fabric should be 4" longer than the waist of your skirt and about 4" in height. Attach that to your waistband with right sides together and stitch. Once attached, fold waistband up and iron. Now, fold waistband in half lengthwise, tuck a 1/2" under and sew a topstitch across the waist. Those extra 2" on each side? 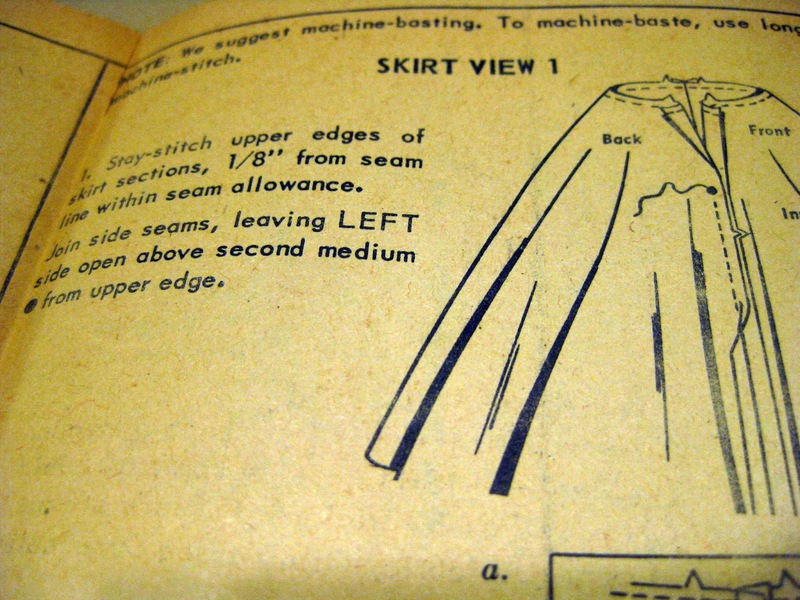 Tuck them on the inside of the skirt and topstitch the crap outta 'em. Wow. Awesome directions. Do you see why I kinda feel sorry for those ladies in the sewing group? Yayness! One Tacky Tree Skirt complete, one to go! Which is after I said, "no more Christmas clothes! "...meanwhile there's a felted sweater in the works and a dress on my cuttin' table. I've got Christmas-itis in a bad bad way. I live the accents: the dotted tights, top, and headband. So darn CUTE! Sadly, I can't wear a skirt like that, being an inch it two shorter than 5' with rusher side hips. I would look like grandma's fat-belly teapot. The skirt would gave to be REALLY SHORT since my hip to knee distance is extremely minimal. Not a flattering look for moi! But terrific on vous! Screw the tacky Christmas sweater I want a tree skirt. What a GREAT idea!!!! One of my friends did this the other way a few years ago and made poodle tree skirts for gifts. Funny enough, I use poodle skirts and crinolines for tree skirts. I like this idea. 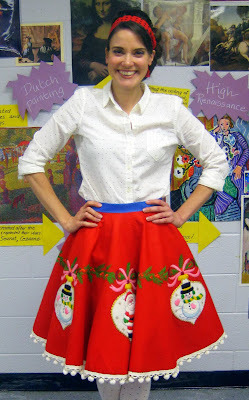 I'm doing a blog round up of pretty, ugly-sweater-party ideas and would love to include your tree skirt idea. Would that be ok? Please email me at cozinest@gmail.com. 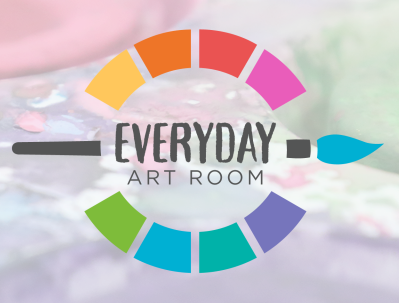 Just discovered your blog spot and LOVE it!! <3 Hope to see more! 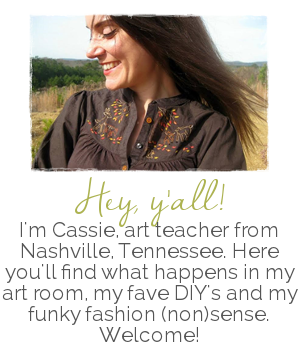 I'm enjoying my first year teaching elementary school art (first -6th grade) and having such a blast. Love this Christmas tree skirt idea and the rainbow line art! Wow! keep inspiring and posting about your creative efforts!!!! 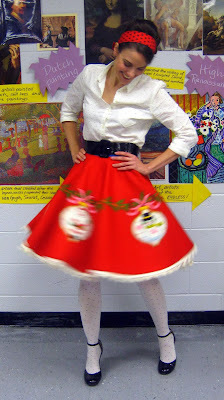 This really would make a great Christmas outfit! I'll have to keep this in mind for my friends who wants to have a Christmas party. Thanks for the great tutorial! Thank you for this tree skirt, please check http://kurta.co.in/embroidered-straight-skirt/ as well. It's a lovely skirt. 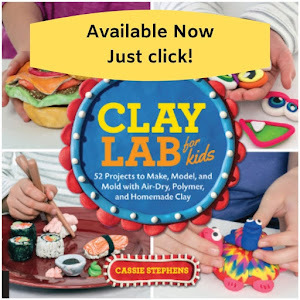 Thanks for sharing such a wonderful diy project.